American Library Association president Jim Neal is convening a summit in Chicago to move members to action to fight school library funding, job, and program cuts. The Association for Library Service to Children released its summer reading lists; a new graphic novel imprint is coming; grants, awards, and more. The Association for Library Service to Children (ALSC) released its 2018 Summer Reading Lists. The lists are available to download for free with selections for children from infant to 8th grade. 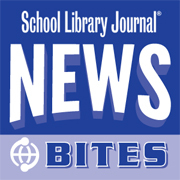 “ALSC encourages families and teachers to connect with a librarian as they start planning for summer,” ALSC President Nina Lindsay said in a statement. “From reading lists to makerspaces and youth programs, librarians know how to keep children learning during school breaks.” Titles on the 2018 Summer Reading List were compiled and annotated by ALSC’s Quicklists Consulting Committee. There are four 2018 Summer Reading brochures, divided by age group. They can be easily customized. Libraries can include call numbers, contact information, hours and summer programs. 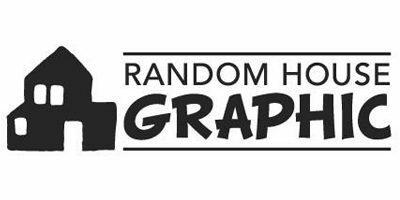 Random House Children’s Books will launch Random House Graphic, a dedicated graphic novel imprint, in Fall 2019. Gina Gagliano—coming from Macmillan Publishin g’s graphic novel imprint First Second Books—will be publishing director of the new imprint, which will have literary and commercial titles for children and teens. The dedicated imprint will expand on the publisher’s current graphic novel booklist, which includes Lucy & Andy Neanderthal by Jeffrey Brown, Babymouse by Jennifer L. Holm and Matthew Holm, Rickety Stitch by Ben Costa and James Parks, and The Cardboard Kingdom by Chad Sell. Chicago Public Schools (CPS) and the LEAP Innovations received $14 million combined in grants from the Chan Zuckerberg Initiative (CZI) to help meet the growing demand for personalized learning instructional models. The grant to CPS will support 35 schools and their Elevate initiative, a 2 1/2-year professional development and support program for personalized learning implementation or expansion. Funding will provide professional development, technology, classroom resources, one-on-one coaching, and "social and emotional integration." CZI’s grant money to LEAP, a nonprofit organization that works with schools and educators to implement personalized learning, will enable more than 100 schools—CPS and other schools throughout the Chicago area—to design, pilot, implement, or expand strategies for each student. Funding will support professional learning for principals and teachers throughout design and implementation, classroom resources, and scaling of effective practices schoolwide. The New Jersey State Library (NJSL) is the recipient of a 2018 Laura Bush 21st Century Librarian Program grant award from the Institute of Museum and Library Services (IMLS). The $222,697 in funds will support NJSL’s Cross Cultural Communicators in Libraries: Developing Culturally and Linguistically Competent Bilingual Library Professionals project. The two-year program will develop online modules and in-person training in cultural competence, interpretation, and translation skills for 350 Spanish speaking bilingual library professionals in New Jersey, Queens, New York, Hartford, Connecticut and California. 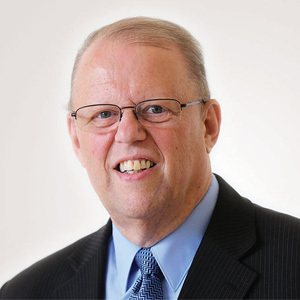 The project team includes the New Jersey State Library, Queens Library, Hartford Public Library, California’s InfoPeople, REFORMA (The National Association to Promote Library and Information Services to Latinos and Spanish Speakers), and the American Library Association’s Office of Diversity, Literacy and Outreach Services. The Children’s Africana Book Awards (CABA) are presented annually to the authors and illustrators of the best children’s and young adult books on Africa published or republished in the U.S. The 2018 Children’s Africana Book Awards are: Best Books for Young Children: Baby Goes to Market by Atinuke and Angela Brooksbank; Mama Africa, How Miriam Makeba Spread Hope with Her Song by Kathryn Erskine, illustrated by Charly Palmer; Grandma’s List by Portia Dery, illustrated by Toby Newsome Honor Books for Young Children: The Wooden Camel by Wanuri Kahiu, illustrated by Manuela Adreani; Sleep Well, Siba & Saba by Nansubuga Nagadya Isdahi and Sandra Van Doom Best Book for Older Readers: When Morning Comes by Arushi Raina Honor Books for Older Readers: Solo by Kwame Alexander with Mary Rand Hess; Akata Warrior by Nnedi Okorafor Notable Books for Older Readers: One Shadow on the Wall by Leah Henderson; Soldier Boy by Keely Hutton Best New Adult Book: Behold the Dreamers by Imbolo Mbue.